Sandcastle sits right at the water’s edge on Mahoe Beach. Its location makes it ideal for early morning walks in the sand, picking up shells and sea glass as you stroll. The large freeform pool is big enough for swimming laps, and you can look out over the Caribbean as you stretch out on one of the cushioned loungers. If you’re in the mood for some meditation or quiet reading, there are peaceful paths that meander through the gardens and near the fountain. In the evenings, why not have a barbecue on the terrace as you watch the sunset? Beachfront at Mahoe Bay Beach! Sandcastle Villa sits right on the edge of Mahoe Bay, with white sand and seafoam only 15 feet away. Enjoy early morning walks on the beach and swimming laps in the freeform pool. The large freeform pool is perfect for swimming laps, and loungers surround the space for sunbathing. The beach is just a few steps away, and a popular choice for strolling and snorkeling. The breezeway features a wet bar with icemaker and a mini-fridge, so any hour can be happy hour. Under the portico, al fresco dining provides space for outdoor feasts. Just inside the sliding glass doors, Sandcastle’s Great Room combines living, dining, and kitchen areas all under a cathedral ceiling. The dining table seats 8, a powder room is nearby, and the living area is divided into two spaces, one for entertainment and one for conversation. The spacious kitchen features a lengthy breakfast bar and is fully equipped. The air-conditioned Master Suite rests on one side of the Great Room, and features a hot tub in its front garden. There’s also a king-sized bed, ensuite bath, and sitting area. The north pavilion just beyond the breezeway features the second and third air-conditioned king suites, both with ensuite baths. Across the courtyard, the fourth suite features two double beds and an ensuite bath. A separate two-story pavilion sits at the east edge of the courtyard. The top floor holds the fifth bedroom, which also doubles as a study with satellite TV, a desk and fax machine, a game table, king sized-bed, full bath, and a private balcony. Sandcastle’s location is prime for those who want relaxation and convenience. The nearest restaurant is a 5 minute walk away, and the beach is even closer. Sandcastle Villa is luxurious and clean. 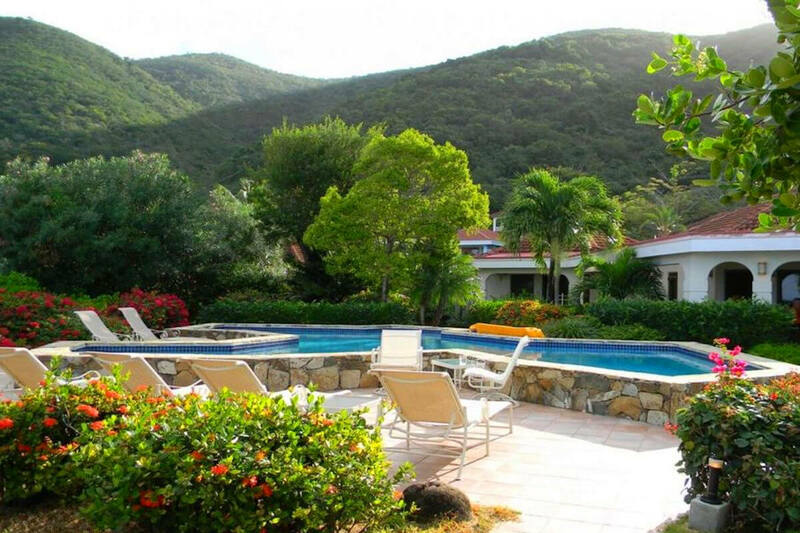 It’s steps from the ocean, and perfectly located halfway between Spanish Town and Leverick Bay, where most tours and activities start. There’s great amenities, including a hot tub and corn hole game boards. Warning: the mosquitos are numerous and hungry. Our experience booking through Shawna and WhereToStay was great.